For reasons unknown, I feel compelled to pursue this subject further. Perhaps it is the slew of misinformation on the Internet regarding the identity of the sundal. 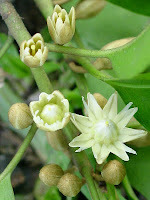 Some Malaysian bloggers even assert that the sundal harum malam (night-scented sundal) is actually Polianthus tuberosa. Seriously? 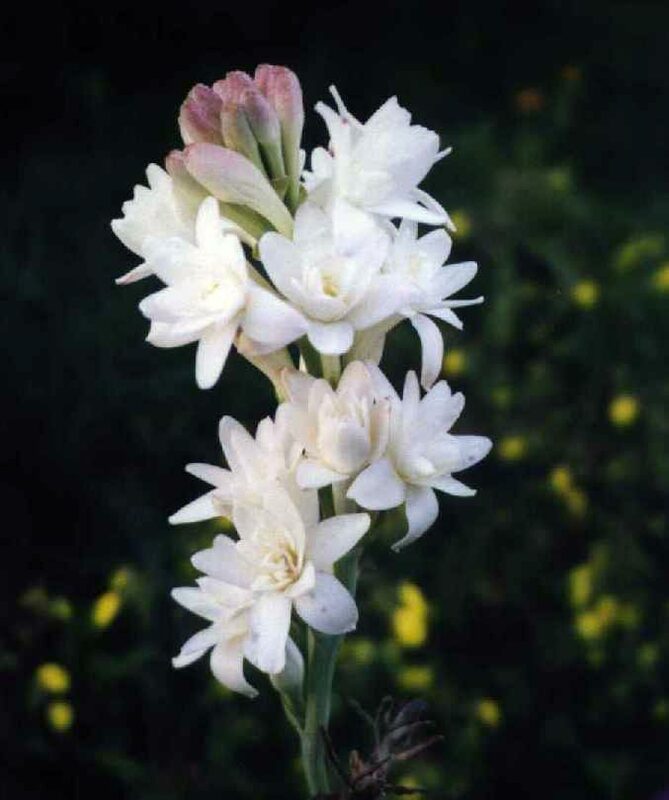 Like the sundal of folklore, the tuberose is a night-blooming, heavily scented flower. The odour profile is described as 'carnal, creamy and fleshy floral notes, which can present mentholated facets when blooming or even rotten meat off-notes when ripe.' 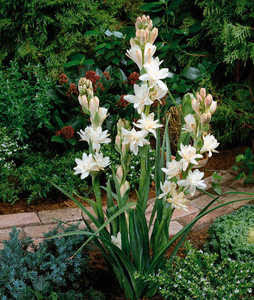 The scent is a complex mix of flower shop freshness and velvety opulence, and is used as a middle note in perfumery; however only the most costly perfume has real tuberose extracts. It is also said to be extremely polarising i.e. some people love it and some hate it. 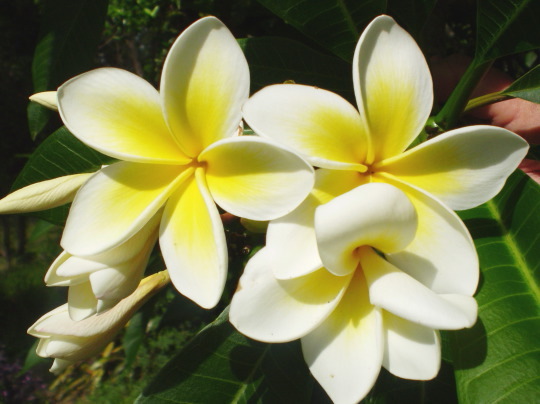 The first contender is the frangipani (Plumeria sp), also known as champa in Laos and India, and bunga kemboja in Malaysia. This seems to be the ideal candidate as the frangipani is thought to be haunted by ghosts and demons in local folklore and often planted in cemeteries, in fact another name for the tree is graveyard tree. But it is also known as the Temple Tree in Sri Lanka and often planted around Buddhist and Hindu temples. But the spanner in the works is that the Plumeria supposed to have originated in the New World! This means that botanists think it was only introduced in Asia by Portuguese and Spanish sailors, probably in the 16-17th Century. But the frangipani is widespread in Asia (from India to China) and so steeped in ancient folklore, that I find this hard to believe. I think it has been around for at least a millennium - after all, people from this part of the world sailed all the way to Hawaii and New Zealand before any Western sailors did, there is no reason why people from the New World could not have sailed here too. However, the frangipani has large sparse leaves - hardly a place for a creature of the night to hide. We had a large frangapani tree growing in the front yard of the house when we were living in Federal Hill, Kuala Lumpur but I never felt any supernatural energy from the plant! The next candidate is the parijata, harsingar or shefali; other names for this flower are coral jasmine and night flowering jasmine. 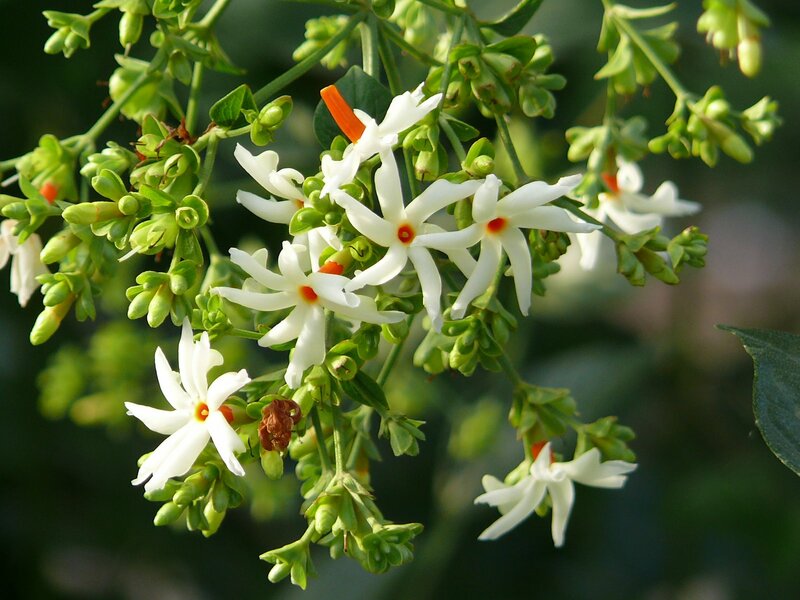 Nyctanthes arbor-tristis is also known as the sad tree or the tree of sorrow as its flowers are shed like tears, at the first light of dawn. The parijata was one of the treasures thrown up, by the churning of the primordial ocean, samudra mantha, by the devas and asuras (refer to my post, The Devas and the Asuras). It is also the only flower which can be picked from the ground to be given as offerings at temples; all other flowers have to be hand-picked from the plant. 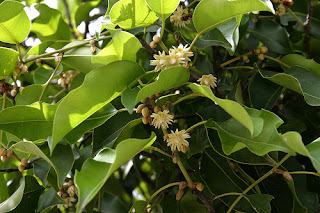 The parijat or shefali is also the state flower of Bengal. There is another charming story associated with this flower: Parijata was a beautiful and sensitive princess who fell in love with Surya, the sun god. Unfortunately, her love was unrequited. The sun god spurned her and she pined away. When she was cremated on her funeral pyre, a beautiful tree sprang up from the ashes of the sad princess. But she could not stand the light of the sun and bloomed only at night, shedding her flowers in sorrow at dawn. The story of Princess Parijata bears striking similarity with the myth of Clytia (or Clytie) and Helios, the sun god. In the Greek myth, Clytia, a water nymph, was madly in love with Helios (or Apollo, in some versions of the story). Unfortunately, Helios only had eyes for her sister, Leucothea. Helios even disguised himself as a woman to visit Leucothea in her chamber. Clytia was consumed with jealousy and betrayed her sister, by informing her father about Helios' deception. Instead of confining Leucothea in the dungeon, as most normal fathers of that time would do, her father had her buried alive... Helios was devastated and tried to revive his beloved Leucothea, but to no avail. Finally, he drenched her body in perfume so that her essence would evaporate in the sun and follow him on his journey across the sky. Helios could not forgive Clytia for her betrayal of her sister and spurned her. Clytia went insane when she realised that she had lost Helios forever; it's also possible that she felt remorse for causing her sister's death. She sat on the cold hard ground and stared at the sun, from sunrise to sunset, for nine days without eating or drinking. Eventually, she wilted and died. Helios finally felt sorry for her, and turned her into the heliothrope - a plant bearing deep violet-blue flowers which follow the sun as it moves across the sky. In some versions of the story, Apollo turns Clytia into the sunflower, but this is highly improbable because (yes, you've guessed it! ), sunflowers originate in the Americas and was unknown in Europe, until about a century or two ago. Another candidate found throughout tropical Asia and Southeast Asia is Mimusops elengi. Known as the tanjung tree in Malaysia/Singapore and bakul/vakul tree in India. The tanjung flower or bunga tanjung appears frequently in Malay folklore, sometimes to represent a lost lover. There is an enchanting folktale about the tanjung flower, which like the parijat, is sweet-scented, blooms at night and is shed at the first light of dawn. According to the folktale, the flowers are actually the tears of a faerie, who was stranded in the forest because she was unable to find her magic selendang (a long scarf) which allowed her to return home. 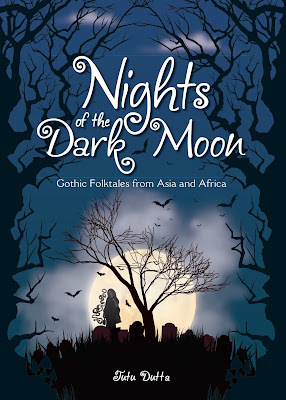 Similar folklore of stranded faeries (usually because someone has hidden her magic cloak) appears in many Asian cultures, from India to Japan. There is a re-telling of the Tanjung Blossom Faerie in my book, Timeless Tales of Malaysia. But the tanjung or vakul is the exact opposite of the sundal in folklore. It is considered as sacred by the Hindus and its frangrant 'flowers of paradise' are offered to both Vishnu and Siva as offerings. The flowers are also said to chase away evil spirits, unlike the sundal which is supposed to attract ghostly spirits! 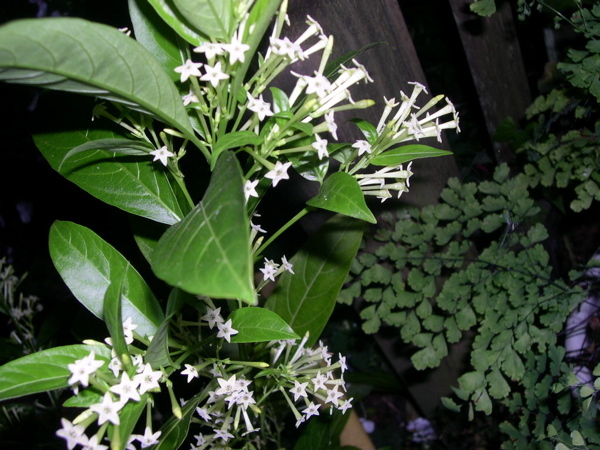 ﻿﻿﻿﻿﻿﻿The fourth candidate is the night jessamine (Cestrum nocturnum) also known as Raat Ki Rani or Queen of the Night, in India. A member of the nightshade family, the night jessamine seems to have all the right attributes - a tree bearing quantities of small white flowers which produce an overwhelming sickly sweet frangrance at night. The plant is native to the West Indies and South Asia. The heavy scent from this plant can cause breathing difficulties, headache and nausea in susceptible individuals. The plant is poisonous in all its parts and can cause feverish symptoms, rapid pulse rate and delirium if ingested. The small ovoid purplish fruits are especially toxic. 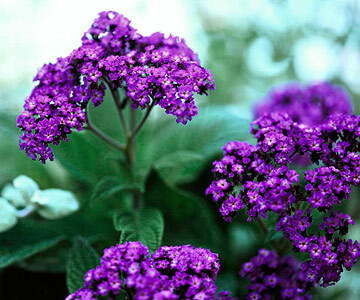 The flowers are also used in shamanic rituals in Nepal. 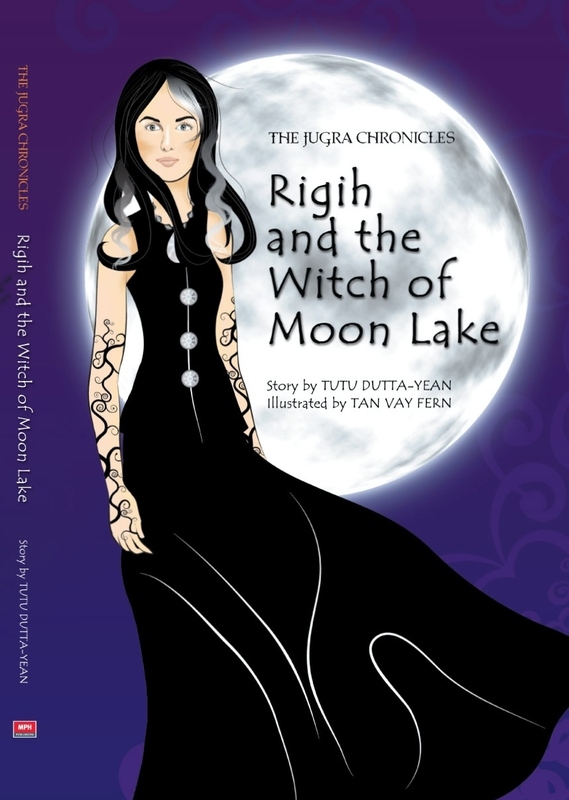 Although I mentioned that the sundal tree might be the parijata in my latest book, Rigih and the Witch of Moon Lake (refer to post The Jugra Chronicles), it seems now that the most likely identity of the sundal tree is the night jessamine, Cestrum nocturnum. The only obstacle is that it does not seem to be native to Southeast Asia. But then again, there are ancient carvings of flowers which look like the frangipani in Sri Lanka, which scientists claim originated in the New World so its quite possible that the night jessamine has been around much longer than we suspect. At the moment, I've picked the night jessamine for the title of Sundal Harum Malam but I'm still researching the true identity of the Sundal Tree!